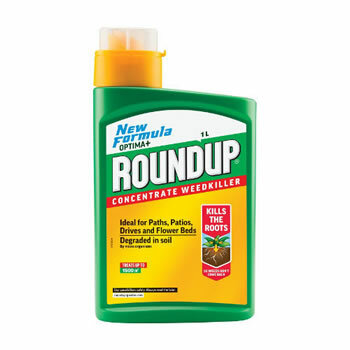 Roundup Optima + Weedkiller Concentrate kills weeds right down too the roots killing them from the inside out, ensuring that they don't come back. The mixture starts working within hours, and fully degrades in the soil to allow replanting and re-use of the soil. The concentrated liquid weedkiller will treat and area of 1500m² which is the equivalent of four tennis courts. Perfect for killing quick growing annual weed and tougher weeds such as Ground Elder and Bindweed. 20ml of Roundup GC Weedkiller will treat a 20 m2 area of annual weeds such as Chickweed, Speedwell and Annual Meadow Grass.